Ponzu Seasoning - a classic Japanese condiment that can be used like a dressing. It combines the tart & tangy flavours of lemon and vinegar with soy sauce. Use as a dressing for fish and meat or as a dip, particularly good with sashimi. 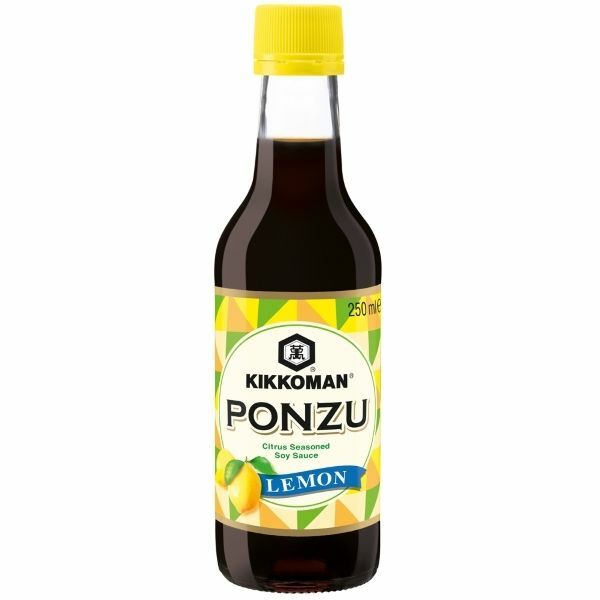 Ingredients: Water, Soy Sauce 31% (Water, Soya Beans, Wheat, Salt), Sugar, Spirit Vinegar 14%, Concentrated Lemon Juice 3.1%, Salt, Natural Lemon Flavour, Yeast Extract.